The chance meeting of a renowned painter and a mysterious girl blossoms into love, but when their ensuing courtship is marred by the disappearance of a purse full of money, their newfound happiness threatens to unravel . . .
To the north of Paris in the port city of Le Havre, a drama of love and deception unfolds when the last and fiercely guarded daughter of a once prosperous family falls in love with the verses of a famous poet, but is this great man of letters with whom she enters into an impassioned correspondence really the person she believes him to be? 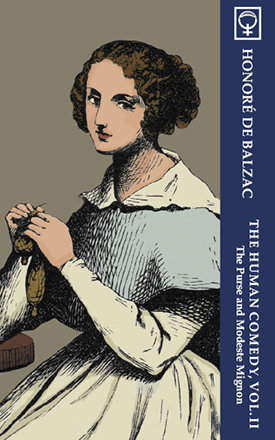 The theme of reality versus illusion, particularly in matters of love, dominates the two works of this second volume of Balzac’s magnum opus.